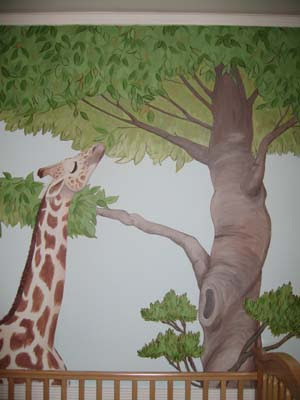 As a children’s mural painter for almost 7 years now, I have put together a list of popular nursery wall mural themes. The most popular boy’s theme is the jungle theme. I have painted many nurseries in this theme. There is just something about the landscape, animals, and tropical greenery that parents are attracted to. And the most popular animal is the giraffe. 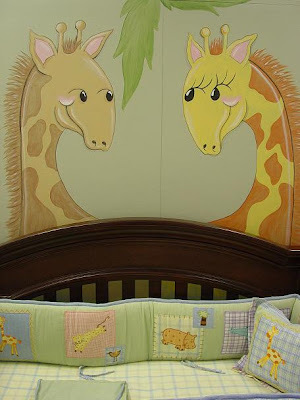 Here are a few giraffe themed nurseries. Beautiful! Do you haven these as wall decals? 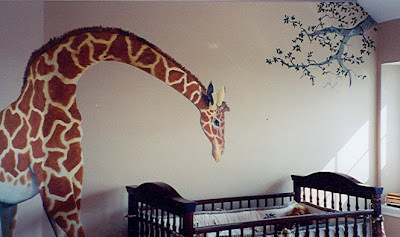 We are doing my grandsons nursery giraffe themed. I love this! Do you have this as a wall decal? I wish we did. Most of the murals I highlight on this site are hand painted. Hello Melissa. Thanks so much for your kind words. I was not the one to do all of these murals but I have done a few. 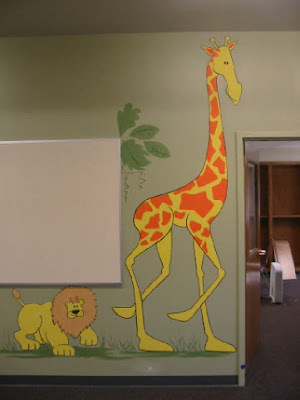 My site is meant to showcase all different nursery mural artists and the many different ideas that can be done in the nursery. May I ask where you are located so I can lead you in the right direction?